EXPERIMENTAL EVALUATION OF CORROSION DAMAGED FLEXURAL MEMBER. ASSESSMENT OF CRITICAL CHECKS IN THE MASTER CHECKLIST WARUDKAR ABHIJIT1, ADSUL BALAJI2, BAMANE ASHISH3, BENGUDE KUNAL4, JADHAV SWAPNIL5, PATEL NAINESH6. 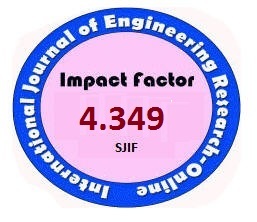 1Assistant Professor, Department of Civil Engineering, JSPM’s, ICOER, Wagholi, Pune. Kanchipuram , Tamilnadu , India. 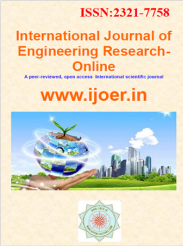 1Associate Professor, Department of Civil Engineering, JSPM’s ICOER, Pune, Maharashtra, India. 1M.E Engineering Design, Anjalai Ammal Mahalingam Engineering College. 1PG Scholar,Department of ECE,Srinivasan Engineering college,Perambalur,Tamilnadu,India. 1PG Scholar department of ECE, Srinivasan Engineering College,Perambalur,TamilNadu,India. 1PG Scholar, Department of ECE, Srinivasan Engineering College, Perambalur, TamilNadu, India. 1Assistant Professor is with Department of Electrical Engineering, Mangalayatan University Aligarh-India (UP). 2Assistant Professor is with the Department of Electrical Engineering, NITTTR, Chandigarh-INDIA (Punjab). 1,3PG Scholar, Dept. of CSE, Renganayagi Varatharaj College of engineering, Sivakasi. 1,3PG Scholar, Department of CSE, Renganayagi Varatharaj College of Engineering, Virudhunagar dist, India. 1Dept. of ECE, NMIT, Bangalore, India. 1PG Scholar, Power System Engg., V.S.B. Engineering College, Karur. 1,2 Assistant Professor, Department of Civil Engineering, Gayatri Vidya Parishad College For Degree & P.G Courses, School of Engineering, Visakhapatnam, Andhra Pradesh , India. 1PG Scholar,PG CSE Department,Hindusthan Institute of technology, TamilNadu,India. 2Head Of The Department,PG CSE Department, Hindusthan Institute of Technology,TamilNadu,India. 3PG Scholar,PG CSE Department,Hindusthan Institute of Technology,TamilNadu,India. 1PG Student, Department of Mechanical Engineering, Nandha Engineering College, Erode , Tamil Nadu, India. 1PG Scholar, Department of Civil Engineering, R.I.T Islampur, Sangli, Maharashtra, India. 1,3,4 PG Scholar,PG CSE Department,Hindusthan Institute of technology,TamilNadu,India. 1PG Student, Department of Civil Engineering, P.V.P.I.T. Budhgaon, Sangli, Maharashtra, India. Affiliated to DCRUST University, Murthal, Haryana, India. 1Student M.E. (Structure) Civil Engineering Department, P.V.P.I.T.,Budhgaon,Sangli, Maharashtra, India. 1Scientific Equipment Development Institute SEDI, Akwuke, Enugu State. 12nd year, M tech, Digital communication, Telecom dept. RVCE Bangalore. 2Assistant Professor, Telecommunication dept. RVCE Bangalore. AN EXPERIMENTAL STUDY ON THE PERFORMANCE AND EMISSION CHARACTERISTICS OF SINGLE CYLINDER COMPRESSED IGNITION ENGINE USING EMULSIFIED PALM BIODIESEL.